Many people want to find a way to separate the magnets from an old hard disk due to the strong magnetic force among permanent magnets. Well, how to merge and separate strong magnets? It is a big and serious problem while people working with them. The strong magnet is NdFeB magnet. 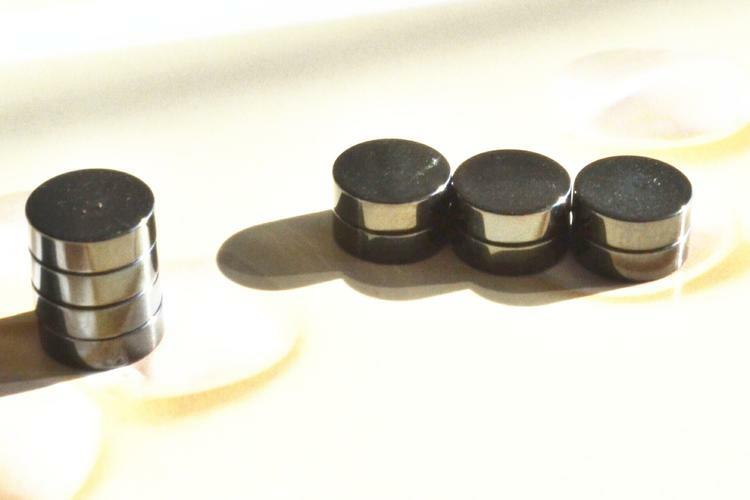 Compared with ferrite magnets, AlNiCo, and SmCo magnets, Nd-Fe-B magnets can absorb 640 times weight of their own, so neodymium magnets are often called powerful magnets by outsiders. 3. electromagnet can be used as an electromagnetic relay. In daily life, strong magnets should be placed away from easily magnetized items, such as floppy disks, credit cards, computer monitors, watches, mobile phones, medical devices, etc. The magnet should be far away from the pacemaker. For larger size magnets, plastic or cardboard gaskets should be added between each piece to ensure that the magnets can be easily separated. Magnets should be stored in a dry and constant temperature environment. 1. You should get some magnet safety-danger tips. 2. Do some clean-ups in the workplace to keep iron items away. 3. Prepare some tools like work glove, safety glasses, and woodblock, the wood block is a good spacer for big strong magnets. 2. Separate magnets apart parallel, which requires less force. BHmax is the point where a magnet delivers more energy to the minimum volume. If you want to compare the magnetic performance of different types and degrees of permanent magnets, the most convenient method is to consider your BHmax. Another parameter that must be taken into account is the flux density at the pole face of a rare earth magnet. This value is often confused with the Br, but in fact, it is purely the induction in a closed circuit. The following table shows the typical densities of the four pole flow point when working at about its BHmax points. Effects of temperature can be classified into two categories, reversible and irreversible. Reversible changes with temperature have nothing to do with the shape, size or working point of the demagnetizing curve. They depend on the composition of the material. Irreversible losses will not appear in a certain temperature is not exceeded. In addition, they can also be limited by operating at high as a possible work point. But when the outside temperature exceeds the Curie temperature of a magnet, metallurgical changes occur inside the magnet and there will be irretrievable losses. The working point in the circuit determines the maximum working temperature of a magnet. The higher the working point is, the higher the magnet temperature can operate. The traditional magnets have always been affected by shocks and vibrations, but now it has little effect on modern magnetic materials, except for more closely calibrated devices. However, the mechanical impact will cause the magnetic materials to be brittle and fractured. SmCo is the most fragile magnet. Magnets are used in particle beam deflection applications and those with an upper HCI are more suitable for use in such environments. According to some tests, SmCo magnet has significant losses when exposed to high levels of radiation (109-1010 rads). Losses at low levels of radiation are basically the same as the loss of temperature. It is notable that some magnetic materials have Cobalt in them, and Cobalt can retain the radiation after exposure. The performance and stability of a magnet are also affected by its shape. The shape of the magnet determines its working point along the degaussing curve. The higher the operating point, the more difficult it is for the magnet to be demagnetized. Magnets that have a longer length or are used in an enclosed magnetic circuit have better performance and magnetic stability. Some methods may be adopted to improve the stability of magnetic performance, such as demagnetization sites and high-temperature aging treatment. After exposing the magnet in advance for possible negative influences, the unstable texture and magnetic domains disappear and the magnet may be magnetically more stable. The total collapse of the composition will also cause loss of performance. Corrosion can break the magnet structure down, and from neodymium magnets, exposure to hydrogen will lead to structural breakage as well. The coating can prevent the shape of magnets from being corroded. There are many protective coatings available. NdFeB often has nickel, zinc, varnish, epoxy resin or Parylene as a protective layer. Normally Alnico does not need coating, but the powder coating and galvanizing can be used when needed. There are several factors that affect the price of a magnet, such as a shape, tolerances, and quantity. However, the most important effect is the cost of the basic raw material. When there is a need for new sizes and production volume of magnets, tooling should be considered at times. In addition, accessories are sometimes required for near-machining tolerance. • The magnetic lines of force form closed loop outside the magnet is directed from the north pole to the south pole and inside the magnet from the south pole to the north pole. • Magnetic force lines always look for the path of least resistance between opposing magnetic poles. • Magnetic force lines can never cross. They repel each other when they travel in the same direction. • Normally magnetic force lines always move along curved paths. • Magnetic force lines will always follow the shortest path through any medium. • Magnetic force lines always enter or exit a magnetic material at right angles to the surface. • All ferromagnetic materials have limited capacity for power lines. When they reached their limit, they behave as if they were not there, such as an airspace or similar. • Always pay attention to the working temperature of the material you need. • Temperature has the most significant effect on magnetic stability, so always take this into consideration as part of your design and your choice of material. • The strongest one may not be the best. • Beside flow resistance, there are still many other magnetic drawing factors to consider. • Magnet performance can be improved with a steel pole. What are the Different Shapes of Magnets? 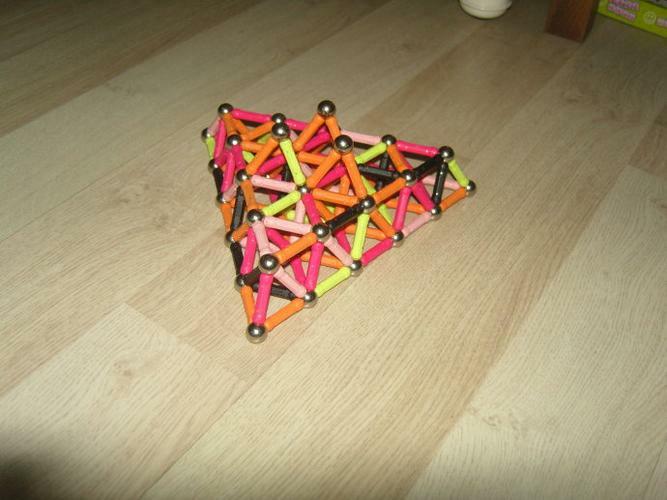 There are probably few limits to the shapes that magnets can be formed into. The factor that determines the shape that a magnet is formed into is the desired shape of the magnetic field that comes from the magnetic poles. Each magnet is designed and manufactured for its use and purpose to fit in for its use and the real strength of the magnet comes from the magnetic material, each shape of the magnet have the effect on the strength of the magnet and shape of the magnet is very important and significant. The most common shapes you will see are rectangular prisms, cylinders, spheres, and rings, however, there are few limits to what shapes you can have with a magnet. 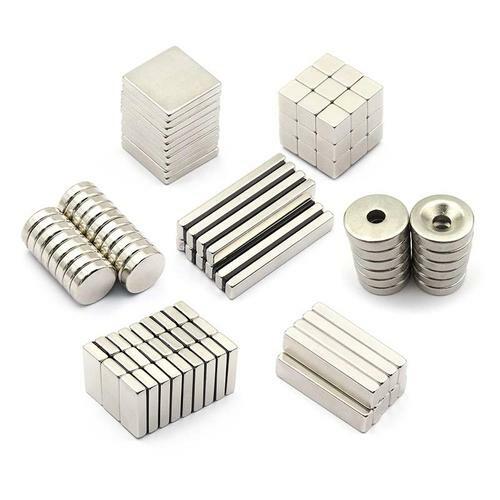 You can buy neodymium arc magnets, neodymium bar magnets, neodymium block magnets, neodymium cylinder magnets, neodymium disc magnets, neodymium ring magnets, square pyramid magnets, conical magnets, triangular prism magnets, heart-shaped magnets, etc. These blocks and bars magnets have fully with the flat surface and in shape of perpendicular to each other. Threaded magnets are partial with the use of their threaded shaped through magnetic rings and wooden plates and these include countersunk holes design and threaded shape which helps in holes to perfectly fit in with the threaded shape. Rubber coated magnets which are used for magnet keepers and used for protection purposes, these are tiny and generate and contact with large fields and these plastic coated magnets are used against the rust without irritations. Bar magnets are one of the weakest magnets of all shaped magnets. Uses of horseshoe magnets and Horseshoe magnets are just barred magnets bent in u shaped and the U shaped magnet makes stronger by bending them in U shape just pointing the poles in the same direction which makes them stronger. As it is named horseshoe it can be used to collect pins, industrial materials etc. Disc magnets are mainly used for holding applications where the drilled hole plays an important role and it is recessed into the hole. There are lot of things we can do with disc magnets. The use of Disc Magnets is shaped in thin flat circular magnets and its thickness does not exceed the diameter. Cylindrically shaped magnets are used as rods and used in medical treatment as well sometimes for multiple surgeries, using this shape of the magnet in human spine bone and etc. Cylindrically shaped magnets posses the high level of magnetism from relatively small surface pole area rod shape with a ball end shape. 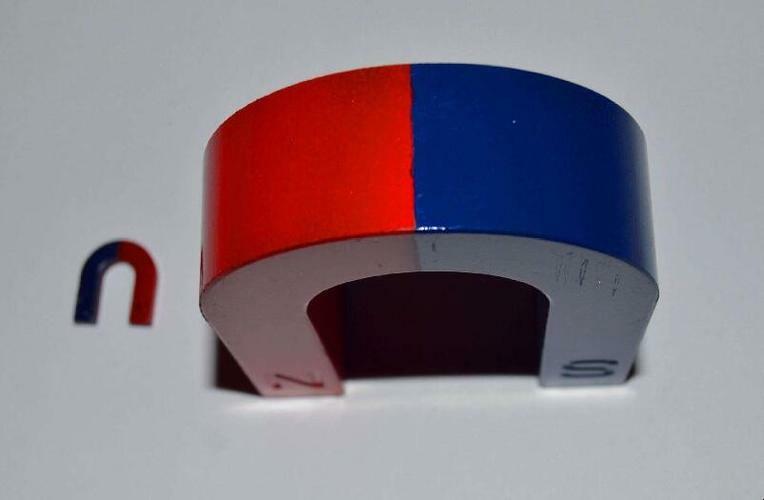 Ring magnets are widely used in science experiments and they are used in various daily use products like the vacuum cleaner, motors, generators etc. Pyramid magnets with its shape in pyramid help to produce and designed in a way to fabricate or generate with huge flux density with it. The main use of sphere magnets is for toys, and novelty products as it is shape and structure in the sphere and the magnetic flow in shape of sphere flows from north pole on the sphere to south pole on the sphere. 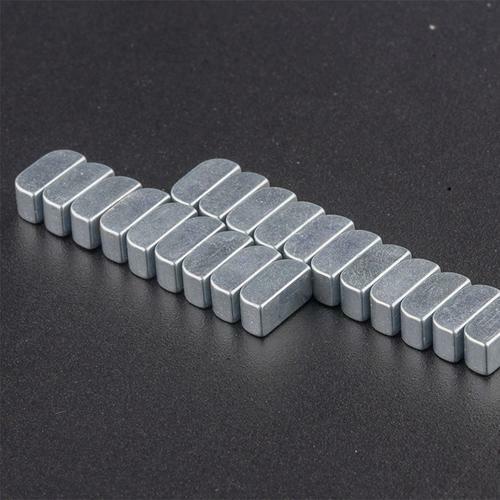 Author Maria HigginsPosted on November 5, 2018 Categories Magnets ShapesTags neodymium arc magnets, neodymium bar magnets, neodymium block magnets, neodymium cylinder magnets, neodymium disc magnets, neodymium ring magnetsLeave a comment on What are the Different Shapes of Magnets?